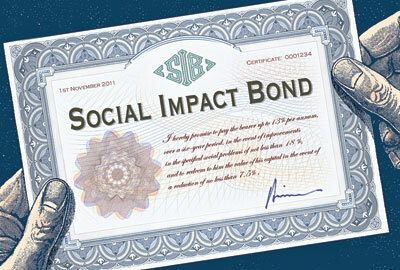 HomeWhen is a social impact bond (SIB) not a SIB? Should we care? Can you elaborate a bit on why a SIB needs an investor that is legally separate from the delivery agency? Certainly in Australia there are some big organisations that it’s plausible to imagine funding their own programme and pocketing the returns from government at the end (leaving aside the fact that none of them would actually want to). It seems like an arrangement like that has the financial incentives that we’re looking for in a SIB. The definition describes the particular contracting arrangement as it was implemented, rather than the ideal model to deliver social outcomes. I guess if everything is similar except that the organisation doesn’t require external investment then we’d call it an outcomes-based contract or a payment by outcomes/results contract. These certainly exist in several countries, including Australia (organisations delivering employment services collect payment for outcomes after having already spent their own money on achieving them). You’re right that the financial incentives would be very similar for whatever organisation or individual is stumping up the initial funds. Where it differs is the level of financial risk a not-for-profit delivery organisation might be exposed to. In the UK, these delivery organisations are usually paid full-costs up front, perhaps in addition to some financial incentive for achieving positive outcomes, so they assume almost no financial risk (although reputational risk is substantial). In Australia our not-for-profits have assumed more financial risk as investors or simply due to the payment metrics we’ve developed, but the investor money is still funding the delivery of the services as they go. When we were developing our Australian SIBs, all parties were pretty keen on protecting not-for-profit delivery agencies from serious financial repercussions if outcomes were not achieved. Is that helpful? Feel free to come back to me. Others may also have differing opinions on this and they’d be most welcome! I agree that some of the NFPs might be unwilling to take the sort of financial risk that investing in their own SIB would entail, although my understanding is that some of the investors in Australian SIBs are actually big charities? I think it’s interesting to think about whether the delivery agencies would necessarily by charities or even NFPs in a mature SIB market. Certainly the predictions about the NDIS seem to be that for-profit players will move in to delivering disability services as the market matures. You’re right. Charities that have invested in SIBs include the Benevolent Society in Australia (both in their SIB and in the Newpin one), ROCA in Massachusetts and St Mungo’s and Thames Reach in London. Investors and government have actually been more concerned about charities taking financial risk than charities themselves. I’m not sure how you’d set up an NDIS SIB, unless additional government funding were allocated for outcome payments. And absolutely – SIBs could definitely be delivered by for-profit organisations, but some government representatives I’ve spoken to say that they would have to do a whole lot more due diligence and thinking around the perverse incentives if they were. Social investors may also be less keen – we don’t know that for sure, but if you’re primarily interested in social outcomes, then an organisation with a mandate to deliver a social mission, rather than a profit, might be preferable. Sorry, I just meant that the NDIS is an example of for-profit players moving into a space that was previously the domain of NFPs, because now there’s serious money up for grabs. If SIBs become a commonplace way of funding social services in the future, I wonder if the same would happen more generally in that cross-cutting SIB space. That point about government representatives being more cautious about commissioning SIBs with for-profit organisations is really interesting.